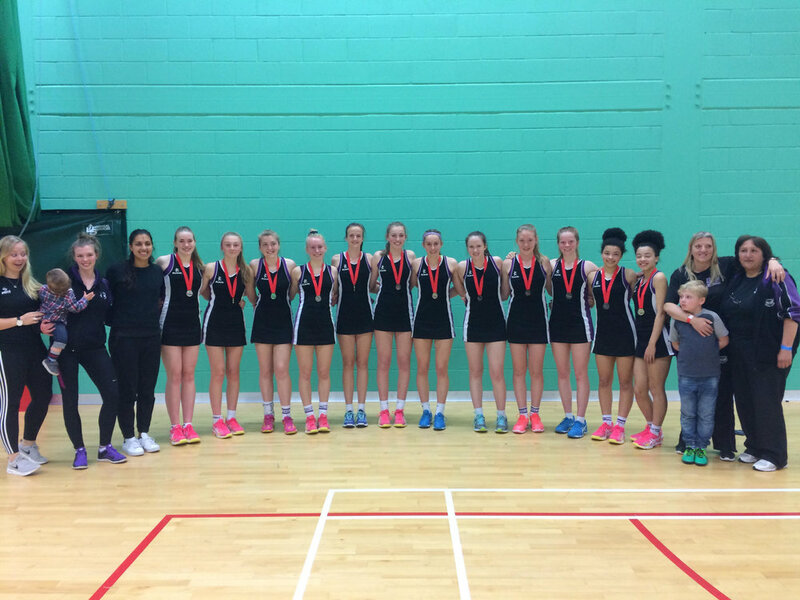 The U16’s took to the courts at Redbridge this weekend to compete against the best clubs in the country. Saturday morning started off well with Eagles winning both of the their first group matches with relative ease. The intensity increased in the afternoon but the girls kept their cool and kept their focus. Each and every player from the squad of 12 did their part. At the end of the first day, Eagles could go back to the hotel and re group for the Sunday matches, knowing that they would be playing for one of the top 6 positions. Saturday night was great fun. Coaches and parents bonded as did the girls. The girls “enjoyed” Ice baths! Sophia Candappa, an ex Eagles player, came to support the girls on the bench. She was encouraging and inspiring and we loved seeing her there. Cat from the Eagles Senior 1 team also came to support along with hubby and the youngest supporter! her baby son. Thank you all. Sunday morning came. We had 2 matches to play to determine which position we would be playing for in the decider match. First match was at 9.30am against Bury. Eagles had played them last year and had been beaten. This year, we demonstrated our progress and were stronger throughout, coming away with a well fought for but convincing win. The 2nd match against Turnford was tougher. We were down for most of the match and at one point 8 goals down! The grit, determination and cool heads that the girls showed enabled them to make a huge comeback in the final quarter and win by just 1 goal! The girls couldn’t quite believe they had done it! and neither could we! That now meant, we were playing for gold and silver. 4 hours to wait until the final match of the day to decide the 2017 championship. During the break, Jemma took part in the shoot out competition. She was the runner up out of all the shooters at the tournament and was presented with a new ball Well done, Jemma! Thameside were our opposition and they had won it last year and their team was more experienced and mature than ours. We came out on FIRE. Goal to goal but we were up 2 goals at the end of the 1st and 2nd quarters. We maintained our composure and kept our lead at the end of the 3rd quarter and seemed to be pulling away in the 4th quarter. With only 2 minutes to go, Thameside came back strongly and had a run of goals. The full time score was 26 goals a piece. Who would have thought it…. 5 minutes extra time was called. Thameside showed their skill and managed to pull away at this point and took the lead. The support that the Eagles team received around the court and the wonderful comments from the other teams, team coaches, spectators and officials was overwhelming. It was a wonderful and well contested final that could have gone either way. The weekend was exhausting, exhilarating, exciting and lots of FUN. Parents, Coaches and Players were all united in their approach which enabled this team to make the final and do themselves proud.